There's really not a lot to say about this meme, as it tells the story pretty much on its own. 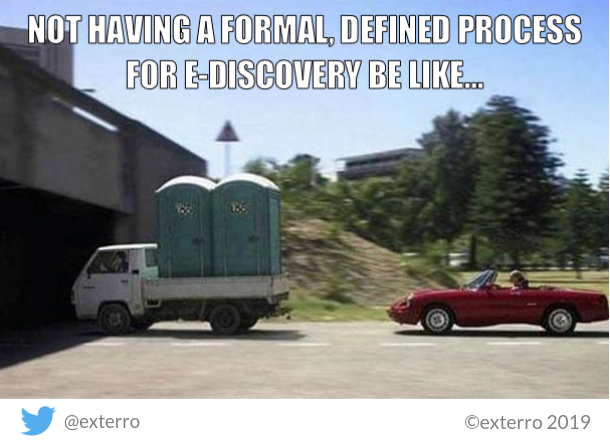 But to be clear, not having a formal defined process for e-discovery stinks! If you don't, you're in the fast lane to a real unfortunate situation. 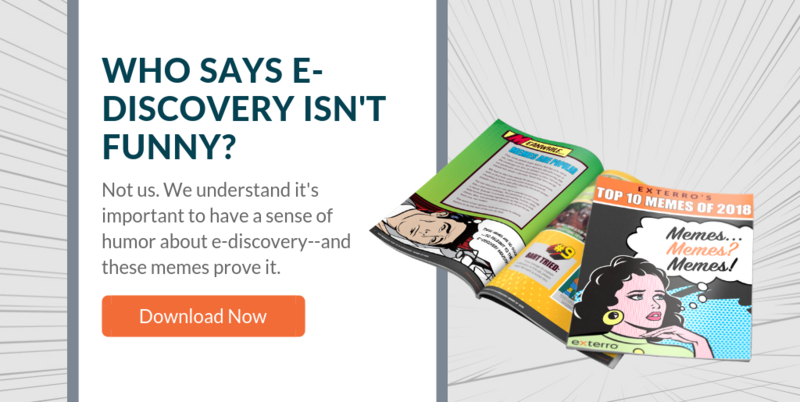 Make sure you're not in for this sort of trouble by implementing workflows like those in Exterro's Comprehensive E-Discovery Workflow Guide. You can always visit our entire catalog of E-Discovery Memes and Cartoons or download our anthology of The Top 10 E-Discovery Memes of 2018 if you haven't gotten enough, and feel free to share the fun with friends and colleagues. Remember, E-Discovery is always better when you have a sense of humor. Cheers! Bill Piwonka oversees all marketing functions for Exterro. His background is firmly rooted in B2B marketing operations. During the past 20 years, Bill has led marketing teams and initiatives spanning strategy, product marketing, product management, demand generation, marketing communications and business development.